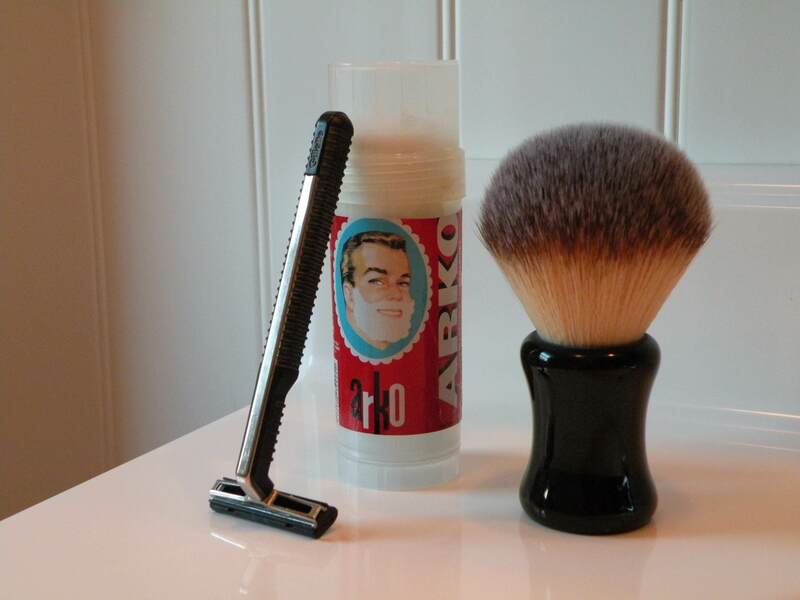 what the best modern cartridge razor ? Sharp/smooth blades with a decent gap between the cutting edges. Razor head can pivot freely or can be locked. Gillette Fusion Proglide Flexball Power. With right maintenance, I've done almost one year with its own original cartridge. And, as daily shaver, is fantastic. (05-23-2018, 10:58 AM)ischiapp Wrote: Gillette Fusion Proglide Flexball Power. All the cartridge is different. Best is Power cartridge, with Flaxball handle. (05-23-2018, 10:10 AM)idan Wrote: what the best modern cartridge razor ? After starting anew — in roughly my 55th year of daily shaving — with a trial of a DE razor, I still needed a travel razor, because DE razor blades are not allowed in airline cabins, and I fly a lot, often with only carry-on luggage. So, for travel, I picked up a Feather MR3 neo, which is easily the best cartridge razor I ever have used. Unlike the cartridge that ships with its little brother, Feather FII, the ships-with MR3 neo cartridge (which also can be fitted to an FII handle) has a unique perforated roller bar in the position that the safety bar or comb would be in a DE razor. That little roller bar brings the whiskers up to standing attention immediately before the edge of the blade comes along; it sets up the whiskers as no other cartridge does, which makes for a better shave, as simple as that. (One wonders why no DE razor maker has made a baseplate with an MR3 neo type of roller: patent protection, perhaps?) For closeness of shave, for smoothness of shave, the MR3 neo is the equal of any DE razor/DE blade combination that I have tried. And the MR3 neo is also quicker than any DE, no doubt about it. If I am in a hurry to get in and out of the bathroom clean-shaven in the shortest possible time, it is for the MR3 neo that I reach. Frankly, I contend that there is no more advanced shaving system in the world, motorized or not. The Feather MR3 neo stands at the pinnacle. I've tried 6-8 carts for head shaving. Feather is superior to them all. Dorco 4s work well, but only when paired to a HeadBlade Moto. Of the models listed in post 1 I’ve used the Mach 3s and the first Fusion but no longer own those handles. Didn’t like the Fusion at all. The Mach 3 was ok. Recently though I bought a cheap Gillette PII handle and some matching carts. They’re close, if not identical to the Trac II which I used for many, many years. I’ve enjoyed four shaves so far with the first cart. It’s quick and comfortable. Not nearly as close compared to my Evolutions or Red Tips. But when I need a quick shave before work if pressed for time, it definitely gets the job done. I won’t object to using it as a travel razor, either. I vote for the Gillette PII. (05-23-2018, 05:31 PM)lloydrm Wrote: Easy: Feather MR3. Unfortunately, the MR3 is not among the choices in the topic-heading poll. Imagine a poll of the greatest baseball teams of all time that leaves out the 1927 Yankees and the 1955 Dodgers. Imagine a poll of the greatest pro basketball teams of all time that leaves out the Bill Russell-led Celtics teams and the Michael Jordan-led Bulls teams. Imagine a poll of the greatest cricket players of all time that leaves out Donald Bradman. Imagine a poll of the greatest empires of all time that leaves out the Roman Empire. Those are fully analogous to a poll asking what is the best modern cartridge razor allows no votes for the Feather MR3. I strop my carts and get 12-15 great shaves pr. cart. (05-24-2018, 03:00 AM)CHSeifert Wrote: I strop my carts and get 12-15 great shaves pr. cart. Do you use something like RazorPit or just palm stropping is good enough for you? Do you have a stropping routine like 10 passes with lather etc. ? Mach3, but the Personna GT5, Quattro Titanium and Hydro 3 are not far behind. No doubt here, Fusion Proglide. The Fusion original don't last as many shaves and tend to tug more than the Proglide. I would pick the Fusion Proglide over the rest because I can get a nearly BBS shave with just a WTG and XTG passes. If I do a third pass it becomes a flawless mirror finish shave. No way to do that with the other multiblades. The Mach 3 is the one I consider milder and the one I reach for when I feel my skin needs a break, but overall, the Fusion beats the rest by a wide margin. I just couldn’t get-on with the MR3, so proglide it is when I travel. (05-24-2018, 10:04 PM)mike_the_kraken Wrote: I just couldn’t get-on with the MR3, so proglide it is when I travel. Same here. The Feather MR3 was as ineffective as the Feather AS-D2 DE razor. Even after 10 shaves it still could not even give me a DFS. Far from. My father uses the Razorpitt on his Fusion carts and get 30 daily shaves from one cart. I own the Razorpitt but don’t use it currently. I simply thumb strop my Mach3 and Fusion carts. Before, during and after the shave. Countless number of strops. Perhaps 40-50 strops pr shave. I don’t have a stropping routine. I just make sure to do it. Before, during and after the shave. Mach 3 followed by Gillette Sensor. The Gillette Trac II. Best cartridge razor ever made. You can still get after market handles for it. Here is mine from 1975 vintage.